1,000 PlayThinks of Art, Mathematics & Science. 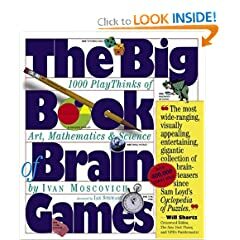 Inside you will find an obsessive collection of 1,000 challenges, puzzles, riddles, illusions—originals as well as must-do classics—it’s like salted peanuts for the brain. 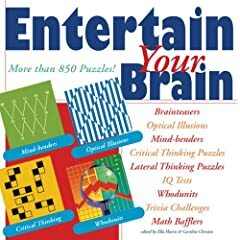 150 Fun and Challenging Brain Teasers. A delightful book of word games that the entire family can enjoy. Stimulate Your Vocabulary Skills. 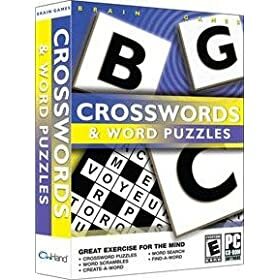 Crosswords & Word Puzzles includes a variety of word games to sharpen your strategy and logic skills. If there’s a kind of puzzle not included in this incredibly varied collection, we can’t imagine what it is. 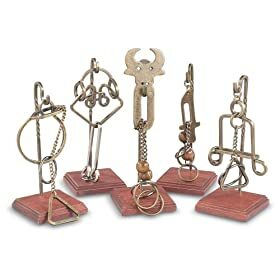 Good Clean Puzzles for Kids of All Ages. Presents 100 puzzles, each with a logical “aha” answer…that may require thinking outside the box. Your brain needs exercise! Work out yours with these 5 Brain Buster Puzzles! 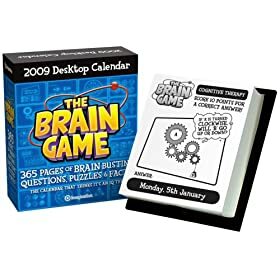 Weekly Game- It's time to put your neck-top computer into hyper drive and find out if you're up to the calendar that think's it's an IQ test!